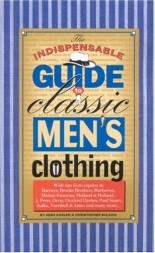 This volume answers hundreds of questions about classic articles in a man’s wardrobe, from ascots to wingtips. 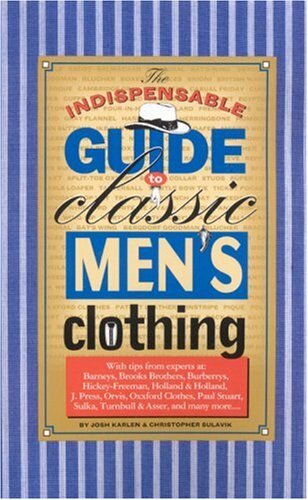 It describes, in practical language and through dozens of illustrations, the rules of attire that every man should know for occasions ranging from Casual Fridays to Black Tie. Leading experts on men’s clothing-from Brooks Brothers and Paul Stuart, to Britain’s famed Turnbull & Asser and France’s venerable shoemaker J.M. Weston- have contributed their knowledge to this concise yet exhaustive volume, which explains how to put together a wardrobe of timeless, impeccable style. Plus, the finest custom suit makers, shirt makers and shoemakers describe the fine points of their craft and provide tips on how to recognize quality clothing. It has been featured in GQ magazine and Wedding Bells magazine.